Walking Dead Discussion Panel — Stories that matter. Join us for the Dunedin International Film Festival on January 12th and 13th 2019. During this festival we have many activation's throughout Dunedin, including this discussion panel with The Walking Dead Directory of Photography, Stephen Campbell. 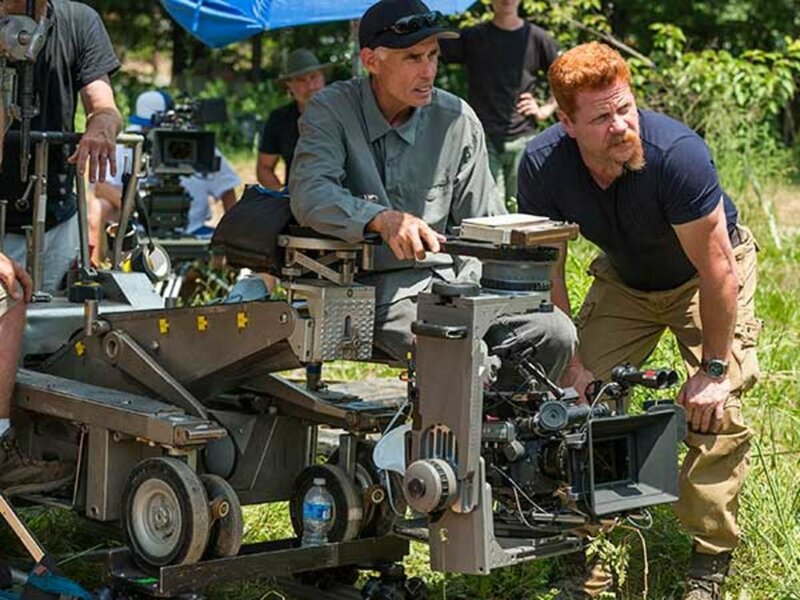 Join us as Stephen talks about life on the set of The Walking Dead, how he built his career from a camera assistant into cinematographer, and became the director of photography for the #1 television show in America. Learn about Stephen's 20 year career in the Florida Film Market and what it means to be a member of the camera department. Special guest Lance Tafelski will be on the panel to talk about his role on the show and what it is like to navigate the film maker's world. All access tickets get you access to this event. Space is limited so please arrive early to get your seat. The Walking Dead cinematographer Stephen Campbell talks to American Cinematographer about shooting the hit horror show on 16mm.